While working with the Metro Atlanta think tank SNN, I was tasked with developing CMS platforms that we could offer member publishers to put their teams in control of their online publication. There are many CMS to choose from, but first I looked at the three most popular, Drupal, Joomla and WordPress. CMS offer an online system to easily manage their website content. With the advent of Content Management Systems publishing website content got a whole lot easier. Editors and web site owners enjoy the ease of use CMS offers, and love the fact that they can update text and images without having to ask someone to perform web site edits. CMS is the answer if you have the need to keep your website content fresh and up to date, and often is a more economical solution for businesses getting their web presence online. For instance, if you want to add a new web page with content you simply log in to your CMS, create a new Category, then create an Article, assign it to your new Category, and you're in business! Your CMS will present your new category as its own web page, with your new article as its content. We also provide Managed Web Hosting for your Joomla CMS, a truly turn-key solution for your website and CMS development needs so that you can concentrate on what content you want in your site without having to spend weeks figuring things out. The process used in a typical Content Management System works quite similarly to opening a file in a program like Microsoft Word or Open Office Write. The user is presented with a Text Editor that works on several form fields. You'll have a field to give your article a Title, Intro Text and the Full Text for your article. Website users of a CMS do not need to download or install any software on their own PC. They simply log in online, go to the section where they wish to create or edit content, and in a matter of minutes your latest updates are available online. A good CMS like Joomla also has a publish option, where you control what content for your website is available and when it will be viewed by visitors to your website. For instance, your team can work on an article for as long as you like, and keep it unpublished until you are ready for it to go "live". You then change the Publish status for that article, and it's available online immediately. 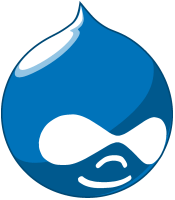 Drupal is a popular choice of CMS. The framework is difficult for new users to pick up, and the chances that our publishers would have staff who could take over some of the admin tasks were remote. Drupal has become become popular with government agencies as well as larger organizations. But they do have full time staff who can devote their daily efforts to maintaining a large and complex CMS framework. This would not be the case with our pubishers where a handful of editors would be using the application, and most likely they would not have staff dedicated to their onine presence. We chose to look further. Next we looked at Joomla, a simpler popular CMS framework. The Joomla Content Management System (CMS) does take some time to learn, but with one of our custom installations we can have you up to speed in using your new CMS in about an hour with a personal tutorial In our phone meeting we cover how to Add, Edit and Delete content for your website in a matter of minutes. Joomla has undergone some very vigorous development and currently is built on a MVC (Model View Controller) platform written in PHP. It is really not difficult to see why since that time WordPress has eveolved as the most popular CMS. We have picked up some powerful WordPress themes that lend well to customization, as well as implementing responsive design for our work. 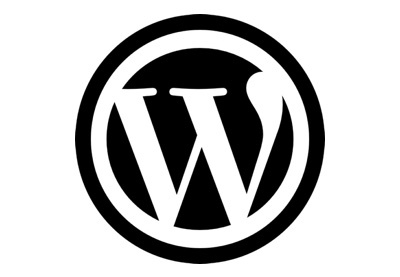 The WordPress framework is quite simple to use once it has been set up for you, and with our initial training session you'll quickly become familiar with using WordPress to craft the content of your site just the way you want it. These were the important points to consider for our friends at SNN, and they will serve you well in getting your online presence up and running to serve your interests. Once we narrowed down the charecteristics of the participating publishers, the choice was actually quite clear. Both Drupal and Joomla would involve a learning curve that would prevent publishers from participating. WordPress offered the simplest UI, set up tasks, and orientation for our cients, so next I developed some proof of concept sites that we could use to demo that WordPress CMS for prospective publisher clients. The SNN team loved the results, and we were able to move forward to set up the next stages our think tank had set out for SNN. We specialize in building custom CMS for our Atlanta clients using a new design, and then creating the programming and files necessary to use your new design for your CMS so that everything is set up for you in one package. This affords you very economical website development, and eliminates some of the costs of web development that would normally be necessary to build your site and additional web pages. If a Content Management System sounds like the answer for your oneline web presence, contact us, and in about 20 minutes we can review your needs and outline a solution that will have you up and running as quickly as possible, with a system that will serve you for years to come without spending a fortune.